"You know, Tom, Harper Lee ain't smart enough to write a character like you." Wall Street Journal columnist and friend of the site Allen Barra took the 50th anniversary of the publication of “To Kill a Mockingbird” to commit what plenty of Alabamians would consider an even greater sin then shooting an actual mockingbird: he shot “To Kill a Mockingbird” all to pieces. 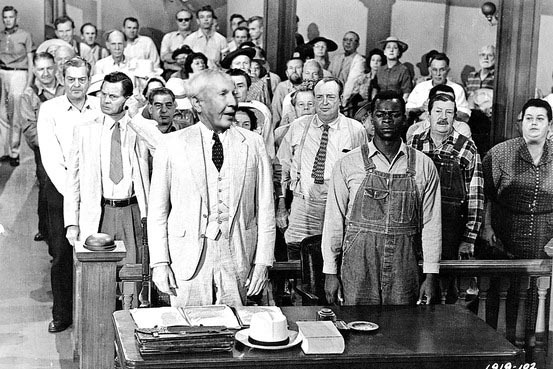 “It’s time to stop pretending that ‘To Kill a Mockingbird’ is some kind of timeless classic that ranks with the great works of American literature,” Barra wrote last Friday in a WSJ column that also claims that – despite the PR blow to Alabams’ literary heritage – Harper Lee should not be included among the ranks of William Faulkner, Eudora Welty, and Flannery O’Connor (whom he quotes in reducing the value of “Mockingbird” to that of a nice children’s book) and other great southern writers claimed by our neighbors. Fans of “To Kill a Mockingbird” seem ready to lynch Barra – when The New York Times is reviewing your review, you know you’ve struck a nerve. Yet he refrains from the even greater sin of referencing the persistent rumor (not-so-irrefutably refuted by Auburn’s Wayne Flynt in a 2006 NPR interview) that Lee’s lifelong – and much more prolific – pal Truman Capote actually penned the Pulitzer Prize-winning book. Pat Dye, in a recent interview, does not. Not that he was aware of it. Dye’s “friendship” with Harper Lee, arranged (via relatives in Monroeville) after he was re-smitten with “Mockingbird,” has recently supplanted the legend of The Pants as the angle of choice for blurbs on Coach in retirement community newsletters and small-town feature sections. Even Southern Living decided to take advantage of it, wrapping up a July feature on Monroeville’s commemoration of its famous hermit with a story from Dye about his catfish supper with ‘Nelle’ in 2008. Dye took the opportunity to tell her in his folksy, roundabout way that it had to have taken heart and soul to write “To Kill a Mockingbird,” not just brains. We’ve all been looking for that next sentence. barra is a big bammer so the fact dye and harper lee are friends must have ticked him off. “That’s heady stuff on a sports talk show. Dye may not know ‘nothing about no damned literature’ but he knows what he likes. By the way, the book brought $8,000 at his auction, he said. That’s the best part from the Tuscaloosa News article.